When you try to view Organisational Units or public folders and you have more than 500, not all are visible and you get the message “There are more results available than are currently displayed”. This is because Microsoft have limited the results to 500 and you cannot get more results. 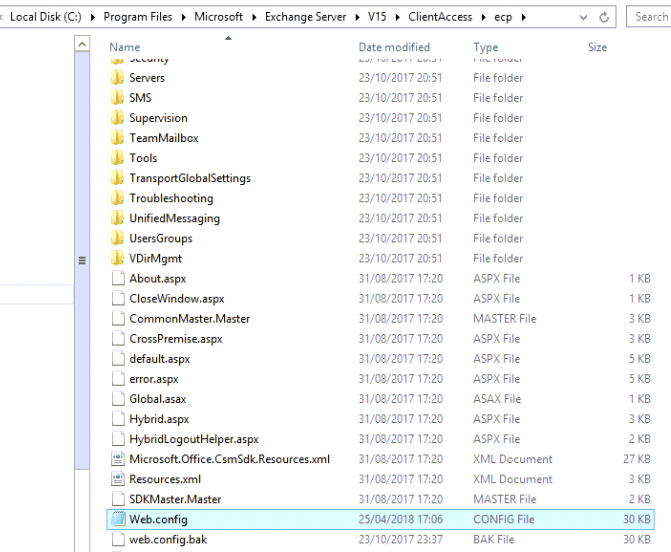 On the Exchange server navigate to the Exchange install folder then \ClientAccess\ECP. This will increase the maximum OU’s displayed to 1000. Set the value to something suitable for your needs. Next, Navigate to the FrontEnd\HttpProxy\ecp folder. Again, find the web.config file, backup and make the same changes, using the same value as before and save it. You will probably need to close the ECP and reopen it if you have it open, but this should resolve the issue. Unfortunately, I believe these changes need to be made again if you upgrade Exchange with any CU update, but hopefully, you’ll not see “There are more results available than are currently displayed” again. Thank you for the article it helped me solved the issue ! Thanks Fred. Glad it helped you out.